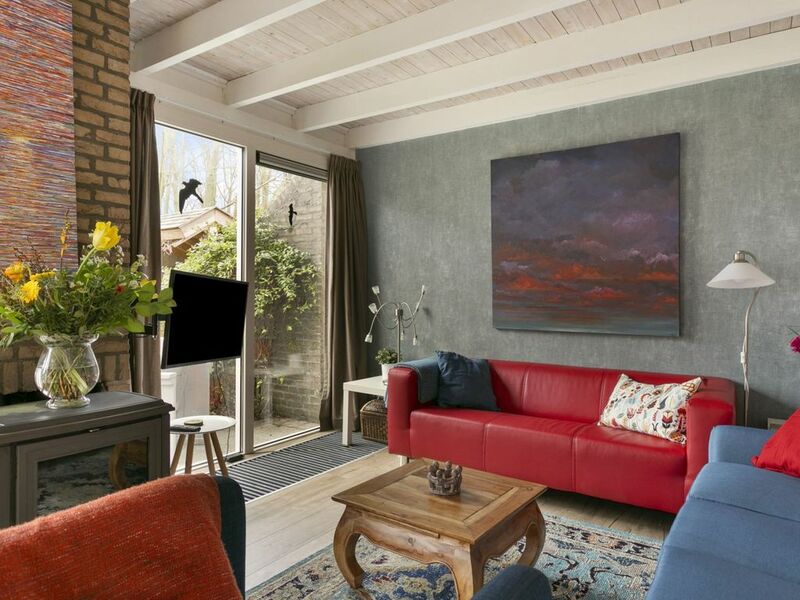 Cottage style holiday home in the Dark Sky park and Het Lauwersmeer National Park. This is the quietest area in the Netherlands with the cleanest air, an impressive starry sky and more hours of sunshine than the average in the Netherlands. Lauwersoog borders the national park Schiermonnikoog with in between the Wadden Sea which is included on the World Heritage list of UNESCO: "an unrivaled dynamic landscape. Nowhere in the world do you encounter such a vast and varied area, created under the influence of ebb and flow and where changes are noticeable on a daily basis. An extensive system of gullies and channels is alternated by tight, dry sand plates. You will find mussel beds, food-rich mudflats, extensive salt marshes, but also white beaches and dunes and here and there swaying seagrass fields. This variation of landscapes makes the Wadden Sea a unique habitat. The Wadden Sea is an indispensable stopover for millions of birds during their migration. And more than 10 000 rare plant and animal species find their home here! ". After the coral reefs, the mudflats are the most food rich areas per square meter. The house is suitable for a maximum of 4 adults or two adults with a maximum of 4 children. There is secure Wifi and Netflix in the house and parking for two cars. The beds are made and there are towels. For the kitchen there is a towel and dish towel plus dishwashing detergent / dishwashers. Smoking and keeping Pets is not allowed. Also organizing parties and / or inviting multiple guests or guests in the home or on the property is not allowed. garden: at the front a spacious driveway and ornamental garden; at the rear a large terrace, lawn with flower borders located on the south with lots of privacy, a roof with seating, barbecue facility, open shed for storing bicycles, two sunbeds, large picnic table, hammock, fire pit. various furniture: sofa, chairs tables, cabinets, high chair, 6 beds with duvets, pillows and linens, towels. Pots and pans, cooking utensils, cutlery, crockery, cups and saucers, various glassware, bowls, toaster, egg cooker, juicer, coffee maker Senseo and filter apparatus, kettle, BBQ tongs / bowls. eat, drink, charcoal for the BBQ, wood for the fire pit. Modernized, comfortable detached holiday home with a large private garden on the southwest. The interior is modern and colorful and immediately puts the guests in a cheerful holiday mood. Nice to do in the area: hiking, bird watching, clear starry, seal tours, mudflat hiking, departure point ferry service to Schiermonnikoog, about 10 km from the picturesque town of Dokkum and the authentic fishing village Zoutkamp, ​​various sailing opportunities, safari, various restaurants, exercise garden, tennis, cycling, mountain bike route.